A Dhaka court today sent Mujibur Rahman, Awami League Agricultural Affairs Secretary of Satkhira district to jail, who was detained on Friday for entering the domestic terminal of Hazrat Shahjalal International Airport along with a pistol and 32 bullets without any declaration. Dhaka Metropolitan Magistrate Mamunur Rashid passed the order today. 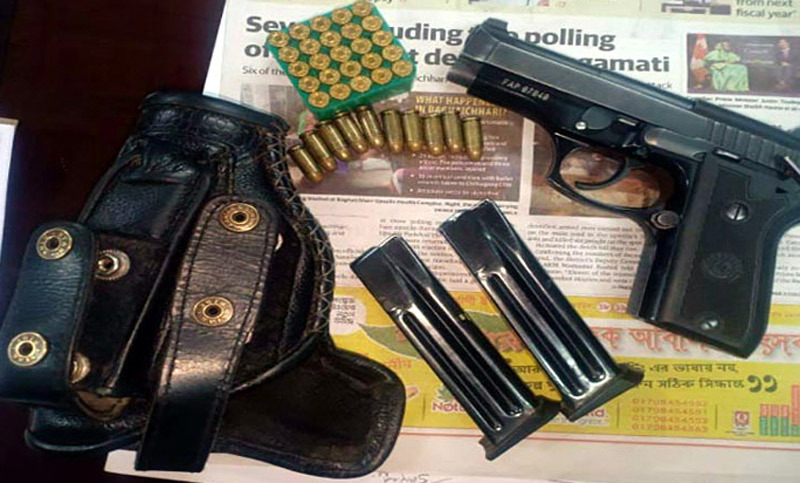 Earlier yesterday, Mujibur Rahman entered the terminal around 6:00pm to fly to Jashore on a Novoair flight with the pistol and 32 bullets. Detecting the pistol and bullets in his possession, the aviation security personnel handed Mujibur over to police.